Spring is such a special time of the year. The evenings are lighter, the birds are singing merrily, and gardens start to fill with colour again. If you have hens already, they should be laying lots of lovely eggs again by now, and if you don’t keep your own chickens just yet, it’s a brilliant time to start. We know that everyone loves a chocolate egg or two at Easter, but this photo just goes to show where the real eggcitement lies. 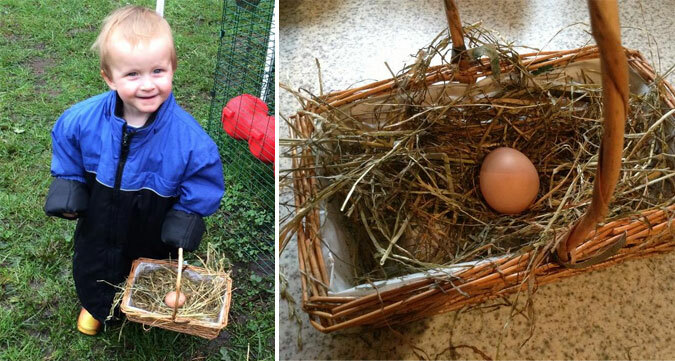 Collecting a fresh egg from the nesting box beats unwrapping a chocolate egg every time, whether you’re two or 102. 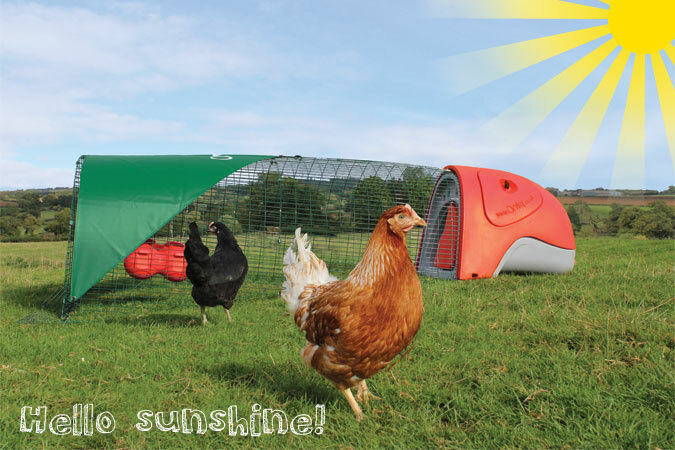 Make this Easter eggstra special by adding an Eglu and a few chickens to your garden, and let all the family henjoy years of feathery fun and frolics. Read our simple guide here. Happy belated Mothers Day to all you fabulous Mums out there. We hope you had a wonderful day, full of treats, kisses and cuddles – you deserve to be spoilt! As well as giving our own Mummies lots of love, this year we had the eggstra special job of delivering a whole load of lovely surprises, and crowning one ma our first Mum in a Million. Thousands of you made nominations, or were nominated, in the first competition of its kind, and we had the tough, but heart-warming, job of reading the entries. Each one of you deserve a prize, but we just didn’t have time to drive the Omlet van to everyone, so we had to choose one winner. That lucky lady was Karen M anning, and her daughter, Melissa, was there for the delivery (well, she had to make sure she got a glass of that lovely fizz). 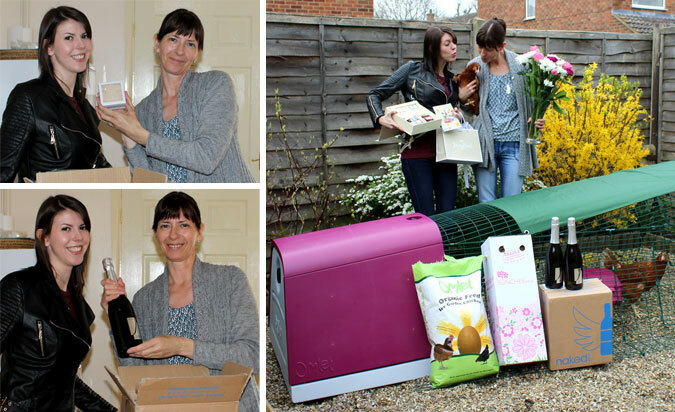 Karen was thrilled to bits with her Eglu Go and chickens, and even Romany the cat gave them a warm welcome. The chocolates, prosecco, flowers, pearls, hamper and afternoon tea voucher went down a treat too, and it was brilliant to see mother and daughter sharing such a happy occasion. We hear that Florence and Francine are having a jolly good time in their new home, and Melissa has been in her Mum’s good books ever since their arrival. What a good egg she is! It’s Time to put those Jackets Away! Things are warming up and that means it’s time to take those Extreme Temperature Jackets off your Eglus and get your chickens out of their winter coats. Your cold weather eggstras will have worked wonders over the last few months, but now that the weather is significantly milder, there is no need for the insulating layers. It is important your hens don’t get too warm as it could put them at risk of overheating. Instead, hang those tweed jackets in the wardrobe and dust off the bikinis to put a Spring in your chicken’s step. Do you have an Extreme Temperature Liner in your Eglu Go? Unlike the Extreme Temperature Jackets, this can be easy to forget, due to it being hidden under the plastic panels. Have a quick check and remember to remove them until the Autumn. Have you ever thought that chickens look a bit prehistoric? Well, you were right! US scientists recently announced the discovery of a new species of dinosaur that they’re calling “the chicken from hell”. (Sounds scary.) More technically known as Anzu wyliei, the strange, bird-like creature has a bony crest on its head, a long lizard-like tail, feathers and a huge beak with sharp edges. Unlike our pet chickens, we doubt that these creatures would settle for eating corn and garden worms though. The Anzu skeletons were found in Hell Creek, North America, back in 2009, but it can take up to a decade before any official announcements are made on dinosaur discoveries. Hell Creek is an important site for researchers, as it was formed in the last two million years of the Cretaceous Period, just before dinosaurs were wiped out by an asteroid strike. For years it has been argued that dinosaurs were already in decline due to climate change, but the discovery of “the chicken from hell” proves that dinosaurs were still evolving until the end. This is all eggciting stuff, but we’re glad it’s only Gingernut Rangers and Miss Pepperpots in our back gardens. After all, there wouldn’t be an egg cup big enough for an Anzu egg. Dust Away the Cobwebs with a Dash of Yellow! Things have been looking brighter recently. The sun has been shining, daffodils have been springing up, and England have just revealed their luminous kit for the World Cup. Word on the street is that yellow is in! 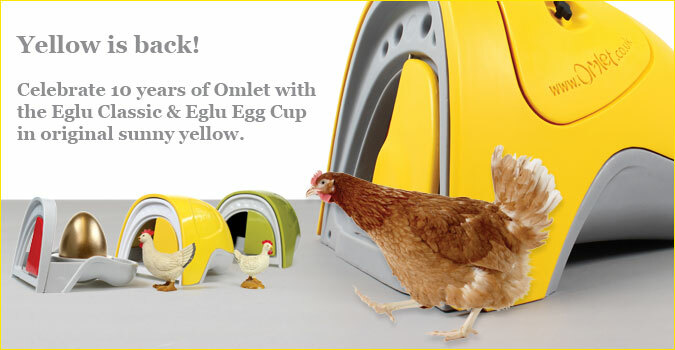 It’s good news that our original Yellow Eglu Classic is back then. Pop one of these beauties in your garden and not only will you be well and truly on trend, but you’ll feel like it’s Summer every day. Not sure about keeping chickens just yet? You can still eggspserience the happy yellow glow with an Eglu Egg Cup. Much smaller than the real mccoy, this snazzy little replica of the original Eglu will hold your breakfast boiled egg beautifully, giving you a sunny start to every day. If you’re lucky, you might even find an egg already hiding there. Find one of 100 golden eggs and you might just win that full-sized Eglu after all. There are lots of other prizes too – just pre-order your Egg Cup today for a chance to win. 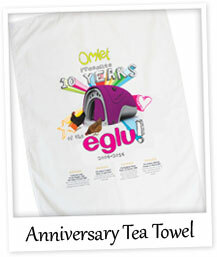 10 Year Anniversary Tea Towel – With a snazzy graphic of the original Eglu Classic, and some cracking quotes to keep you hentertained, you can celebrate a piece of British design history while making your glasses gleam. 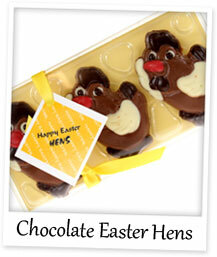 Happy Easter Chocolate Hens – Thought that the gift of 3 french hens was only for Christmas? Think again. This set of three chocolate chickens are the perfect gift for Easter. Not hentirely French, but truly scrumptious. 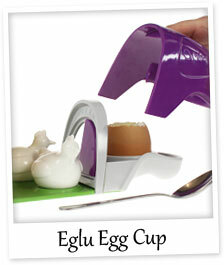 Eglu Egg Cup – The original Eglu Classic in miniature form. What better way to serve boiled eggs from your own hens? Available as an Egg Cup, or as part of a Breakfast Set, with toast rack and salt & pepper chickens.